I retired from a 47-year career in meteorology and weather science in March. I have continued this blog more or less unchanged since my retirement and I have enjoyed writing it since it was established in November, 2009. It is a time for a change, however. While I will occasionally blog about weather when a major storm (blizzard, destructive ice storm, tornado outbreak, etc.) threatens the central United States, the focus of this blog will no longer be weather and climate as they are no longer the focus of my professional life. Before switching to other topics, I want to provide some words about the recent headlines pertaining to global warming. 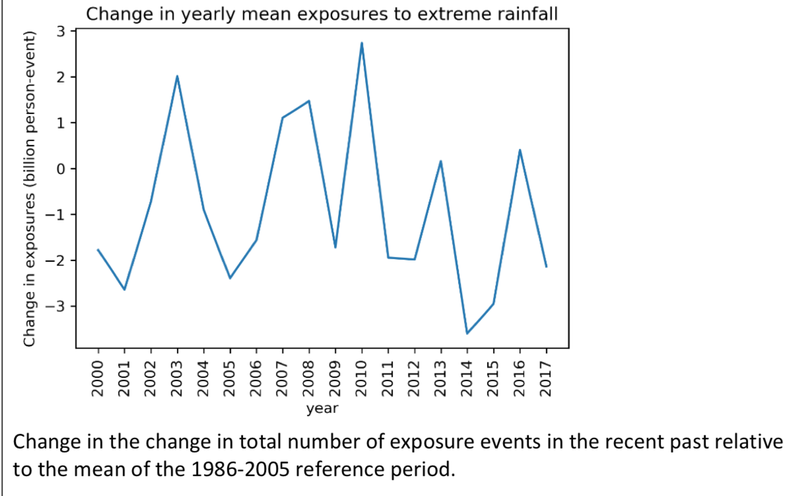 The recent National Climate Assessment (NCA), issued the day after Thanksgiving, was another step backward for the integrity of atmospheric science. The gloom and doom scenarios are a perversion of good science. 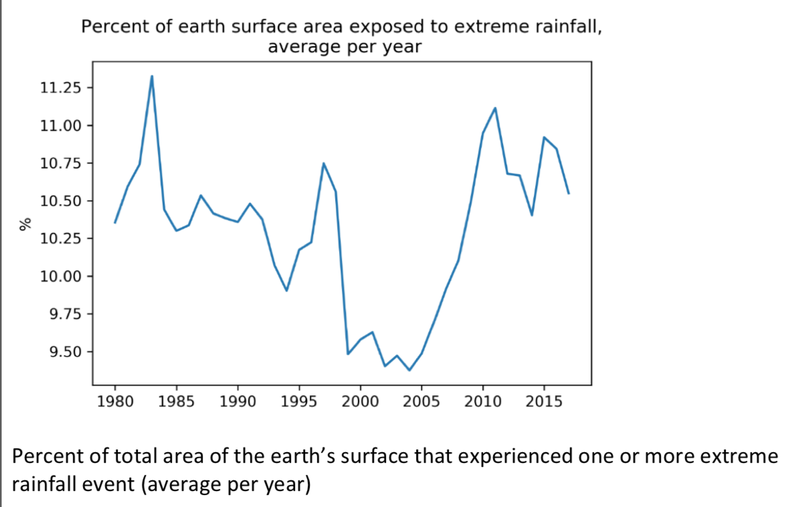 As a person who has devoted my career to atmospheric science, it is extremely discouraging. Since I am retired from that career, I am going to dramatically cut down on writing about global warming. It is just too depressing and discouraging. The best way to mitigate future climate and weather problems is not to "take mass transit more often." The way is to de-carbonize energy. Solar, and especially, wind energy are not the answers. They are too unreliable and wind is too "energy sparse" (fossil fuels are "energy dense"). We need inexpensive, reliable, carbon-free energy. The best way forward is likely thorium nuclear. The U.S. should immediately institute a crash program to bring this safe energy source to market. The perfect should not be the enemy of the good. In places (Africa) where dung is burned, a coal plant will provide reliable, inexpensive energy which will not only improve the health of those burning dung inside their homes but will add less CO2 to the atmosphere. 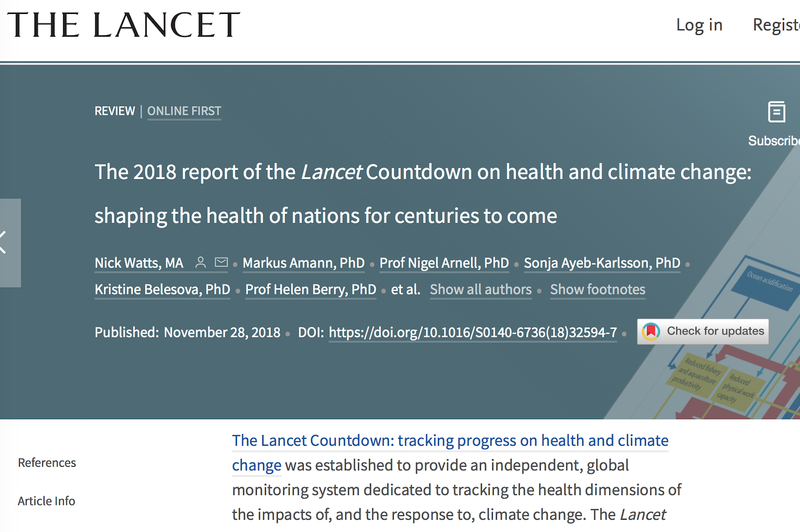 The "summaries" (which is what the media quotes) of the NCA and the next day's Lancet article are usually written by politicians, not scientists. The real science in these documents is less confident and less dire than what the media quotes. See below. As a result the MSM's coverage of global warming is one-sided and generally inaccurate. 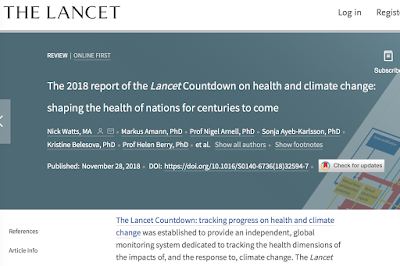 As an example of how bad these documents and press coverage can be, let's take the new Lancet article and compare what it says with its own actual science. 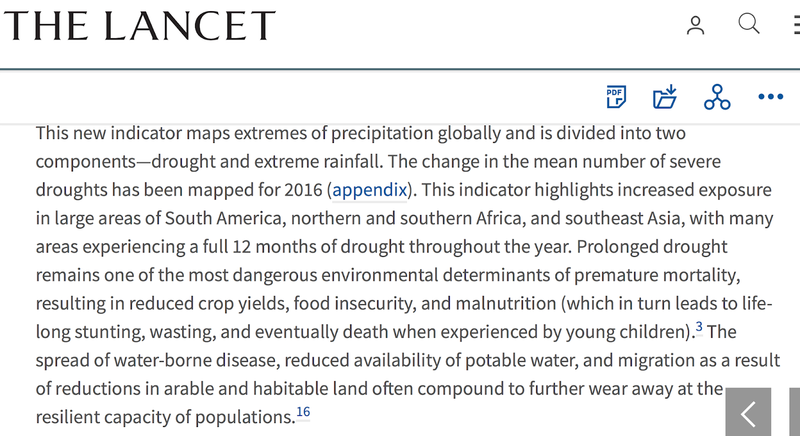 If you read the primary text, we learn that drought is bad and getting worse. But, are things really that bad? 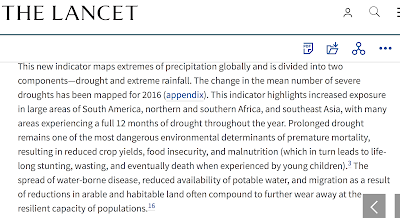 By both of Lancet's measures (and, they only present two) severe drought is becoming less frequent. 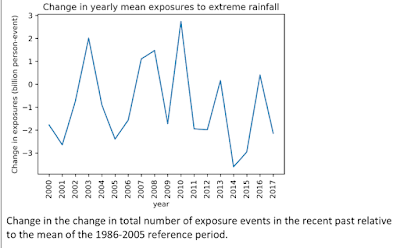 The report then goes on to explain its issues with extreme rainfall. See below. But, again, their own data shows otherwise. 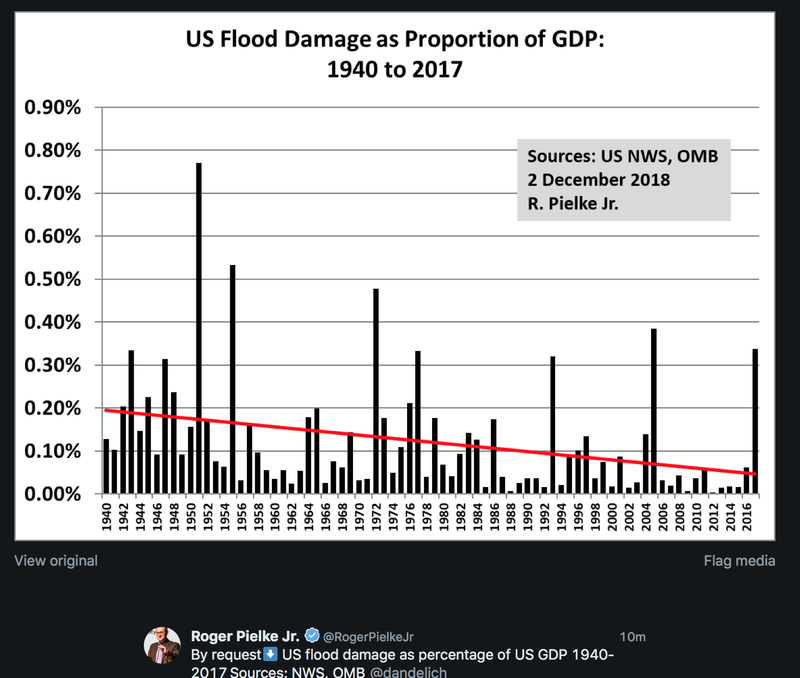 In the United States, damage from floods is down. 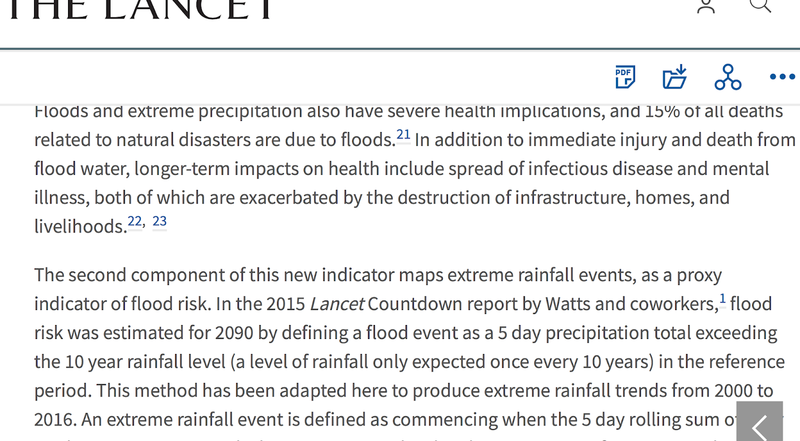 By both of The Lancet's own measures, worldwide extreme rainfall is becoming less common! 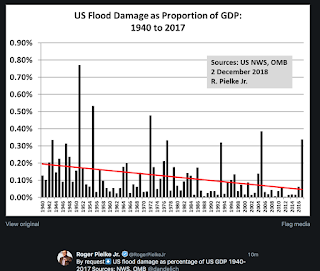 In the United States, flooding damage is on a long-term downward trend. 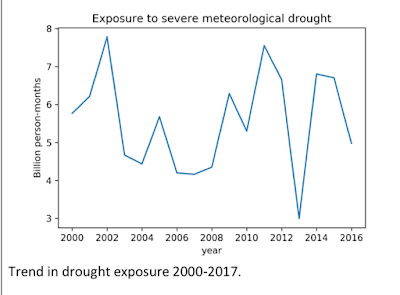 So, as temperatures have risen, drought has become less common and extremely heavy rainfall has become less common. 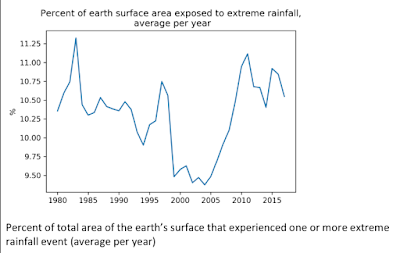 Someone might say, "But, what if that changes if earth's temperatures warm further?" 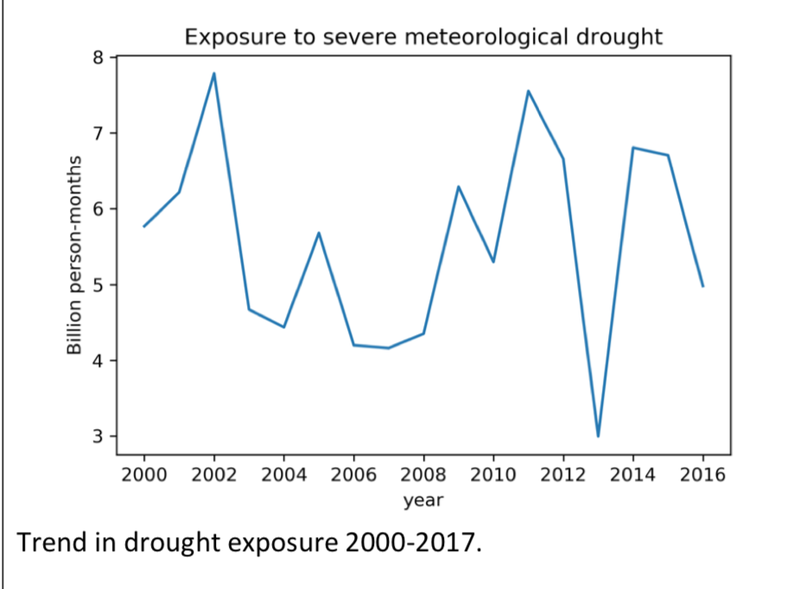 As an atmospheric scientist, I can't think of an atmospheric process that would change the downward trend to an upward trend. 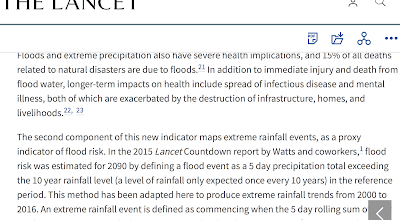 The Lancet's report doesn't provide an explanation. The point is that the summaries -- quoted by the media -- are often completely different than the actual "science" parts of these reports. 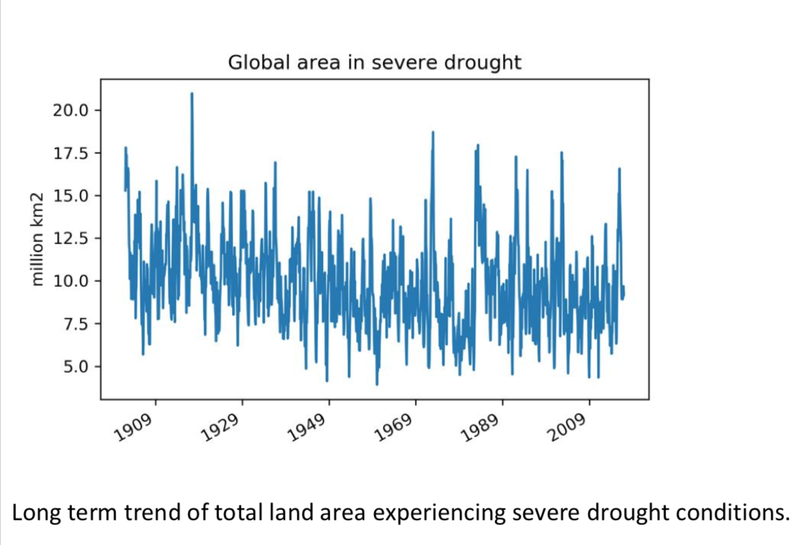 So, when it comes to global warming, don't believe the gloom and doom. The actual science does not support it. If you would like a reasoned way forward based on science, go here.